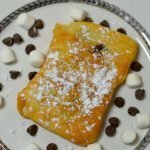 This Air Fryer S’Mores Poptart will become a favorite morning treat with you and your family! Check out this delicious and easy recipe! I have not left my kitchen since I received an air fryer for a Christmas gift last month. Well, I may have left the kitchen but not often. As you can tell with my recent recipe posts like my air fryer beignets, air fryer toasted perogies and my air fryer burritos; I have been in the kitchen cooking! 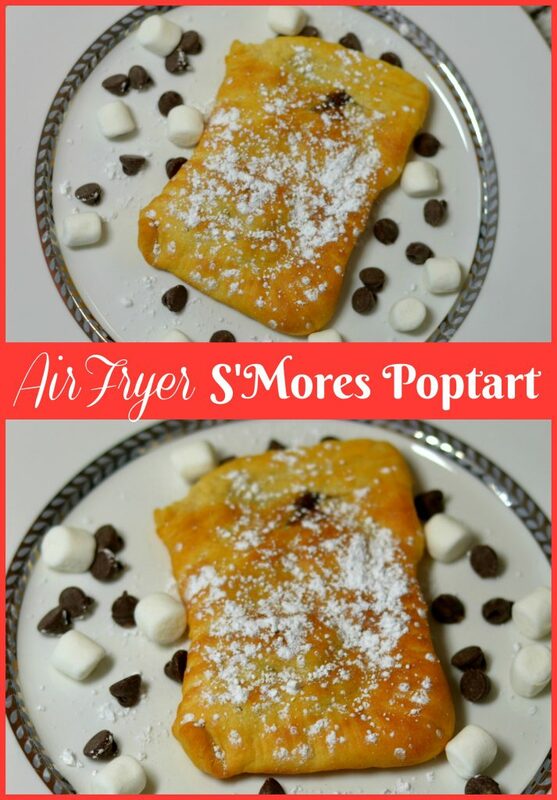 Well next air fryer recipe up to share with you all are these delicious Air Fryer S’Mores Poptarts! Without further ado, let get right into making up these delicious breakfast treats! 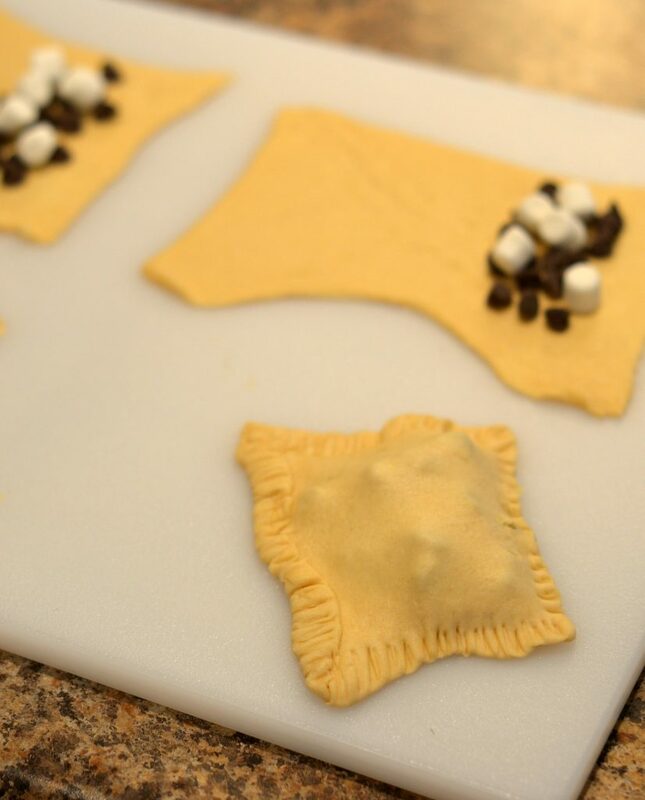 Unroll the crescent roll dough and separate into 4 rectangles. Pinch together the perforated line in the dough that runs vertically down the center. 5. 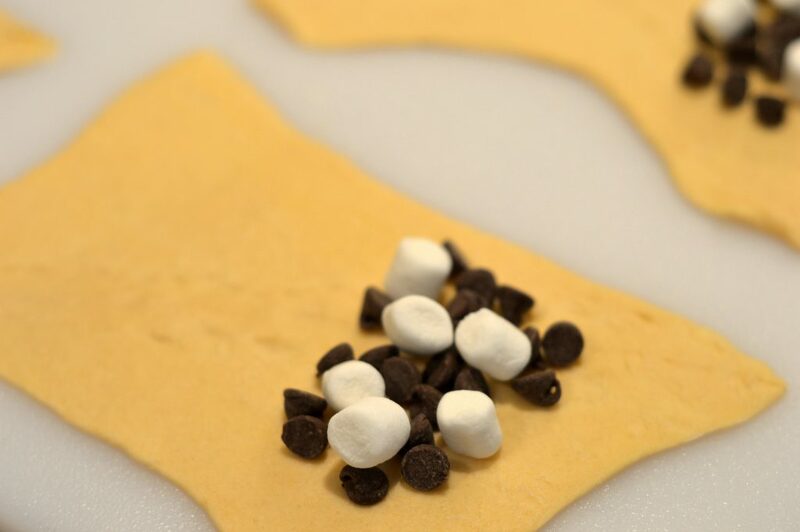 Fold dough in half covering the chocolate chips and marshmallows. 6. Seal the edged of the dough using a fork. 7. Place in the airfryer and set at 390 degrees for 6 minutes. 8. Pause halfway through and flip poptart over. 9. Sprinkle with your preferred topping and enjoy this delicious treat! 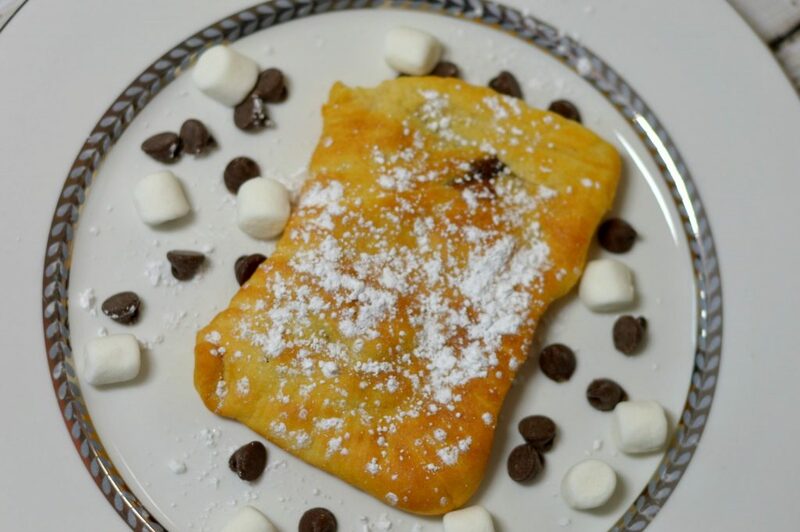 This Air Fryer S'Mores Poptart will become a favorite morning treat with you and your family! Check out this delicious and easy recipe! 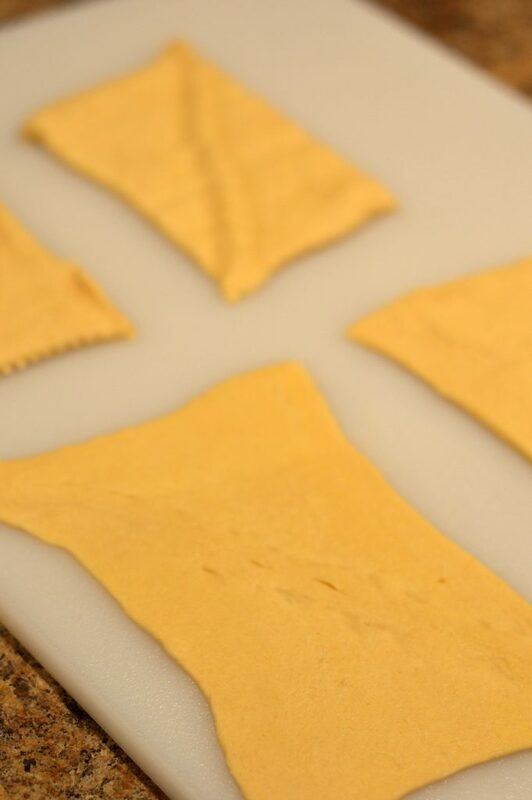 1 Unroll the crescent roll dough and separate into 4 rectangles. 2 Pinch together the perforated line in the dough that runs vertically down the center.